As many of you may know, I do this annual piece on the Best Animated Film category for the Oscars every year. Shockingly, this is already the 3rd time I’m doing it (where does the time go?) and as usual, I’ll delve into a bit of the history behind this particular category and of course, my own prediction. This year’s field is a far more interesting bunch, with last year’s category being dominated by the truly incredible Coco. While that film would be a favorite in pretty much any year, this crop is headlined by a truly excellent Spider-Man adaptation (Spiderman: Into the Spiderverse), two highly anticipated sequels (Incredibles 2 and Ralph Breaks the Internet), the seemingly annual stop-motion original flick (Isle of Dogs) and this year’s foreign film, Mirai, from Studio Chizu of Japan. A well-rounded field with 5 strong movies is never a bad thing for the category, though predicting a winner will likely comes down to some historical trends and perhaps more realistically, how many eyeballs just happened to watch each movie. It’s weird to think WALL-E came out 11 years ago, but it really hits you a bit more as you continue down the list of winners even past the 10 listed here. 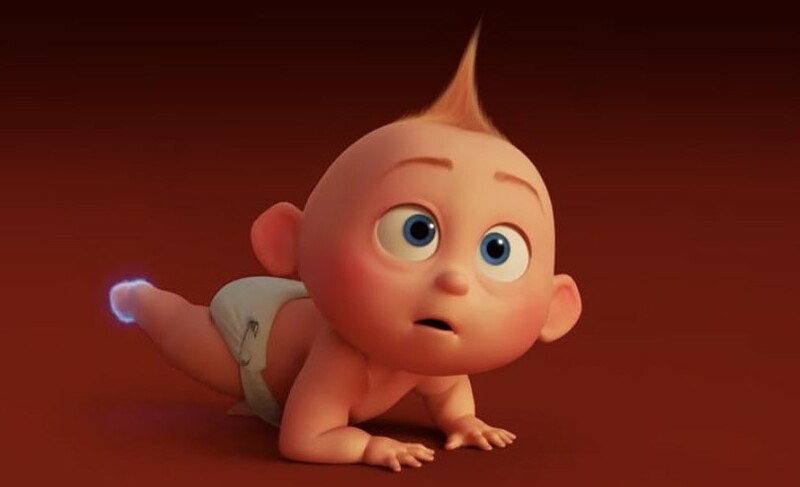 Incredibles 2, which is in the race this year, had its Oscar-winning predecessor debut back in 2004, and while the category is still young by Oscars standards, it’s rapidly approaching 20 years old. As has been the case throughout this decade, Disney and Pixar have continued to dominate the category, which historically bodes well for the the aformentioned Incredibles sequel and Ralph Breaks the Internet– but counteracting that point is all but one of these films were original franchises, the lone exception being the peerless Toy Story 3 back in 2010. Historically, these trends continue to bode poorly for Isle of Dogs and Mirai. While both films are actually legitimate competition in this year’s field (unlike last year’s laughable nominations of Ferdinand and The Boss Baby), the last time a foreign film or a stop-motion film won was one and the same year: 2005, where as I’ve mentioned before in these Oscar pieces, was when Wallace and Gromit: Curse of the Were-Rabbit was the victor. While I’d like to see a bucking of convention, in a strong field this feels unlikely to be the year that bucks the trend, though it would be less of an upset that the theoretical ones that were proposed last year, given 2017 winner Coco’s mortal lock on the prize. The really interesting case of the bunch is of course, Spiderverse. It’s truly an excellent film (yes, I do hope to release a review sometime) and easily the strongest and most surprising thing to ever come from Sony Animation, a studio best known for stuff like Cloudy with A Chance of Meatballs way back when (and unfortunately, The Emoiji Movie from a few years back. Bleh.) This film has done well on the awards circuit, winning the Golden Globe for this category, and in tackling the Oscars, it’s a good bet to try and break a couple of trends working against it: a general lack of superhero films winning big here, the Disney-Pixar hegemony at the top, and Sony’s frankly surprising performance to deliver an incredible adaptation that is frankly unexpected given the genuinely unremarkable track record of films they’ve produced prior to this flick. So who is my pick? I think in a strong field, originality will win out and Spiderman: Into the Spiderverse is your likely winner, though not a complete lock at the time of writing. Incredibles 2 is my dark horse based on historical trends, and while I’m fond of Ralph, I can’t see it winning against a stacked field, as charming as it is. Even Isle of Dogs and Mirai have a shot, albeit a narrow one- and this should be a fun race to look back on. I can only hope 2019’s crop of animated films proves as entertaining for a race. Like what you see? Have thoughts on the Oscars? Leave a comment! Also, check out the movie reviews tab at the top for more in-depth looks at Incredibles 2 and Ralph Breaks the Internet! The spunky Sugar Rush racer revs up her engine for the spotlight. With the new year comes new character pieces! It has been quite a while since one of these appeared, but between reviewing both Wreck-It Ralph films and the brief highlight on Vanellope in my end-of-year character pick-5, I found myself extremely compelled to write about the little candy racer. So “why” Vanellope, aside from being “a real racer”? There’s plenty of reasons, and hopefully, you’ll find several sweet layers here, like the layers of a jawbreaker. Part sweet little girl, part candy and part sharp-flavored adventure with a hint of Sarah Silverman, Vanellope is a handful, regardless of your own opinion on her. A crack racer and the unlikely best friend of 80’s arcade villain Wreck-It Ralph, her story is interesting precisely of how relationship dynamics form and emerge in her story, playing an integral part in her development as a character and an individual. A large part of the reason Vanellope has so much to analyze is that she gets two movies’ worth of character development as opposed to just one. In turn, her story shifts from a plucky outcast to someone who comes of age in the hopes of gaining a bigger dream- but in the process, forced to make some tough decisions as well. At the center of these decisions is ultimately her relationship with Ralph- and how that is impacted, both through her actions and those of the wrecker, neither of which necessarily occur in a vacuum. 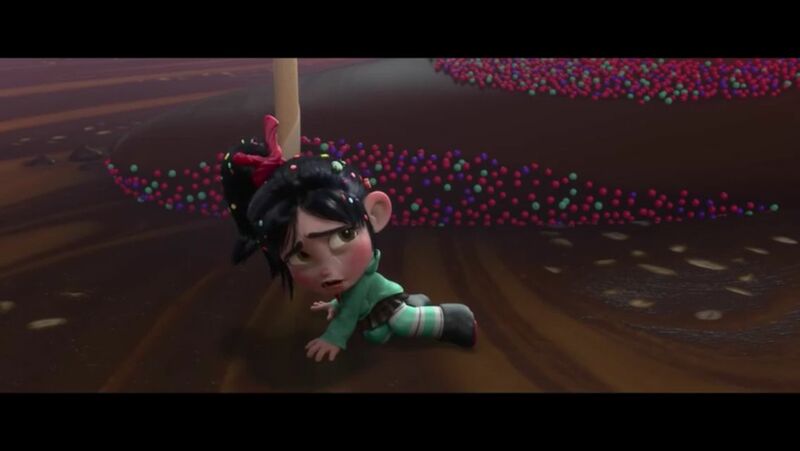 The first film sees Vanellope as she initially was- an individual hardened by the life she was forced to live under King Candy’s sugar-coated fist in Sugar Rush. Beyond just being an outcast, she was also a full-on criminal as decreed by the corrupt regime, and so regardless of what her initial disposition might have been like (we have no idea, her game has been plugged in 15 years by that point), she’s got a sharp tongue of sarcasm and wit no doubt honed from dealing with hostile individuals constantly. Therefore, her initial meeting with Ralph makes perfect sense- she had a) no perspective on the wrecker or why exactly a medal would be so important to him (she even asks what the big deal about the “crummy medal” is later in the film) and b) she had never encountered anyone vaguely kind to her, by virtue of being isolated in Sugar Rush for her whole existence, along with King Candy’s attempt to delete her code, which left her with her signature “glitch” and a stigma of ostracization. The duo bonds over the unlikely bond they wind up sharing in feeling socially outcast from the games they hail from- Vanellope, for reasons already outlined and Ralph due to his treatment as a “bad guy” even outside of game hours, where he’s really not a bad guy, per se. However, it takes some time for this partnership to actually develop into a meaningful relationship, given that it’s a agreement initially born of mutual interest, even moreso to Ralph, self-absorbed in his medal quest- but the language Vanellope uses to strike the deal (“what do you say, friend?”) suggests that while she also has a mutual goal (become a real racer with a real kart) she was more open to the idea towards actually wanting a relationship, given it was likely the first act of kindness she’d known- in this case, Ralph scaring off the other Sugar Rush racers who had destroyed her homemade cart. While Vanellope’s tale is largely one featuring her relationship with Ralph, the first movie also see her in an interesting dynamic with King Candy- the treacherous ruler of the game who in turn is actually the old rogue racer Turbo alluded to throughout the film. The villain goes to extreme lengths to try and literally kill her, first by attempting to delete her code, and when that fails, turns her into a state criminal while also locking up the memories of everyone else in Sugar Rush to suppress both his own misdeed and Vanellope’s true identity as the princess of the game. While Candy is ultimately defeated by Ralph at the climax, his megalomaniac tendencies are brought into an even sharper light by the hard-luck but innocent Vanellope, and nowhere is this in sharper contrast when Turbo is finally revealed in the climax of the final race. 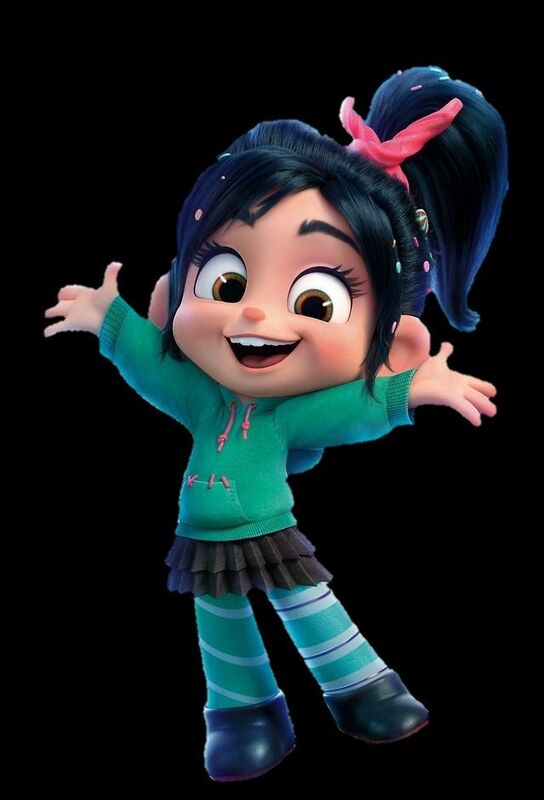 If it was really one and done for films with Wreck-It Ralph, Vanellope would have still been a fine character with a satisfying arc that occurred, but she, along with Ralph, got a chance at a sequel which allowed for an even more in-depth exploration of the relationship that had been built by the end of the original film. In this way, the little racer hit the jackpot: a followup movie which actually did exactly what you’d hope to see in a developing relationship dynamic, and the fact that said followup film was both quite good (here’s the review) and that Disney rarely does official sequels. Talk about luck. “Do you ever think about how we’re just bits of code, 0’s and 1’s? What if there’s more out there?”- Vanellope, pondering greater possibilities to Ralph. With a slight real-world time skip of 6 years (the exact frame between Wreck-It Ralph and Ralph Breaks the Internet), Vanellope and Ralph have developed a comfortable routine- one that is genuinely perfection on some level for the latter, but starting to get boring for the former. It’s true the duo greatly enjoyed each other’s company, but Vanellope had long since grown bored of the place where she’d once been imprisoned, and as the game’s best racer, she’d become the proverbial “big fish in a small pond.” Enter one broken steering wheel and the introduction of WiFi to Litwak’s Arcade, and the impetus for things to take off was in place. It’s clear from the start the candy-haired racer is open to change in her life, from her excitement at going into the internet, to her eye-opening interest in Slaughter Race, and even her humorous foray into a room full of Disney princesses. It’s true that she set out to save her game with Ralph, but in the process, she’d found a bigger world, and like a young adult searching out careers and dreams, she wanted to take her racing talents to a bigger level and a platform that would keep her excited every day. Of course, with that realization came the difficult fact that her relationship with Ralph- who she virtually spent all of her time with- would have to change, and while Vanellope accepted this would have to happen quickly enough, the Fix-It Felix, Jr. bad guy had quite a few more struggles with it. Ralph’s genuine care for Vanellope as his friend devolves to a certain point where the original goal (the steering wheel) is in question whether it’s for Vanellope or his own self-interest. The wrecker is content in routine and happy in his own way. He can’t comprehend Vanellope finding a different dream or something bigger than what she knew, and resistance to that major change fuel Ralph’s childish and ultimately dangerous actions, or namely, his emotional insecurities, which become visually represented by the monstrous viral Ralph clones, and later, the King Kong Ralph homage. Ralph’s betrayals hurting Vanellope on a fundamental level in both films makes a lot of sense, not only from a realistic human perspective, but given the amount of faith and trust she put into the big guy for it to be betrayed. Between the crushing of the candy kart and the reveal that Ralph unleashed the dangerous virus upon Slaughter Race, both scenes are two of the most emotionally painful things between both films, and both times, Ralph acts out of a certain ignorance- but the intent differs. In Wreck-It Ralph, Ralph truly believes he’s done the right thing, and Vanellope’s pain comes from the one person she now saw as a hero (she gave her homemade medal right before, which really makes this hurt) betray her and destroy her dreams at the time. By contrast, the betrayal in Ralph Breaks the Internet is not caused in part from an outside party, like King Candy- but rather, Ralph’s own-self centeredness and insecurity over the idea of losing Vanellope. And in turn, the reaction is even more crushing, when the same medal that Ralph kept all those years is chucked into the abyss of the web, broken in two, symbolizing a permanent change in that relationship. In both instances, there is forgiveness- but again, the context differs as a contrite Ralph returns to help Vanellope after admitting his mistake with a fixed kart and a sincere apology in the first film, while the sequel instead sees Ralph accept change and in turn, allows Vanellope to do her own thing. By the end of Ralph Breaks the Internet, Vanellope has transformed into someone who’s grown up a bit, even if her physical appearance hasn’t changed. Perhaps in a way that’s a metaphor for parent who always see their kids as they were, rather than how they look grown-up, and indeed, while she and Ralph are the best of friends, the relationship is more like that of an older brother and sister or even a father to a daughter at times. The long-distance relationship the duo maintains by the time the film ends hits hard after the emotional buildup and goodbye in this movie- while mirroring the ending of Wreck-It Ralph’s parting hug in Sugar Rush, this occasion is much more bittersweet. It’s the real human connection of change- and it’s inherently not easy to digest, even if it represents real growth in one’s own life or relationships. Furthermore, it represents something much more quiet and contemplative than anything else we’d actually seen from Vanellope and Ralph over the rest of the two films, with a maturity that is surprisingly complex. The dynamic duo. Changed, but stronger for it. Whatever her circumstances, “the glitch” proved to have both a mental fortitude and conviction that served her well. 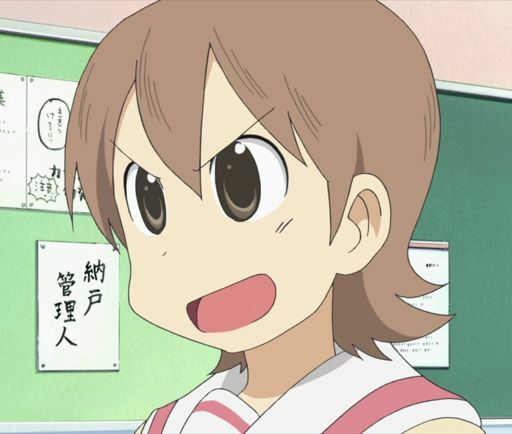 There was something natural in a way about her leaving Sugar Rush by the end purely from a character perspective standpoint- here was a game she was once unable to leave at all, she grew to dominate its raceways to the point of boredom, and now she left it it for good, with a much bigger world out there to explore. Her friendship with Ralph, integral to her character, was both organic and beautifully executed, showcasing both a loving bond- but also one that was severely tested and continued to change with the characters. But Vanellope was also adorable, which didn’t hurt, but looks alone don’t win you an in-depth character piece, or a chance to pursue dreams, or even the ability to be an incredible race car driver. Make no mistake, the deuteragonist of Wreck-It Ralph and arguably the co-lead of Ralph Breaks the Internet is a remarkably developed character, with an arc that is worth watching and re-watching again. Like what you see? Big fan of Wreck-It Ralph or Vanellope? Leave a comment! The wrecker’s second outing proves to be a different, yet enjoyable sequel. A Merry Christmas and a Happy New Year to all my readers! A big thank you to those who read the many days of the Advent Calendar that got out, and the warmest wishes to everyone that they have enjoyed the holidays as they continue into the new year. It’s been a terrific 2018 here at AniB Productions, and while I may slip in another piece or two before the calendar flips to 2019, it has been a pleasure to keep this blog going for you, the readers. And now…for a review of a film I’ve wanted to tackle for a month, but finally got to sit down and see in theaters at last- Wreck-It Ralph 2, or more formally, Ralph Breaks the Internet. AniB’s thoughts: There’s a lot to unpack from Disney’s first official animated sequel since The Rescuers Down Under, and also a followup to what is one of my personal favorites in the original Wreck-It Ralph, which was a film full of personality and character. 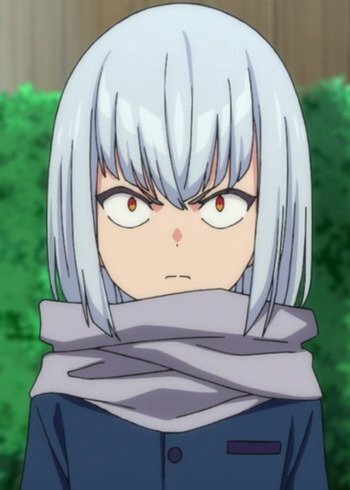 (Here’s my review for that here.) While sequels are usually not up to the standards of the original film that inspired them, Ralph’s second outing proves to be a good one, featuring a deep dive into character dynamics and relationships, splashed against the background of perhaps the best take a film has done yet on the beast of an idea known as the Internet. Set 6 real-world years after the events of the first film, Ralph Breaks the Internet starts off by showing the routine of two best friends had established at the arcade- but also some lingering want for something more from Vanellope, who while happy with her friendship with Ralph, had started to grow bored of the same thing every day. Ralph on the other hand, fully enjoyed his life as it was- and we wouldn’t have a film if this pattern held, which it doesn’t, as Sugar Rush, the racing game prominently featured in Wreck-It Ralph, has the steering wheel of its arcade console broken through a certain event- and coupled with Mr. Litwak’s (the arcade owner) purchase of a Wi-Fi router, the hunt is on for the surprisingly rare part to save Vanellope’s game- along with a world bigger than the duo ever imagined. Unlike past horror shows like like The Emoiji Movie, this film actually manages to tackle the Internet’s vastness with a good deal of savviness and creativity. Product placement is fairly unavoidable- but in this case, feels authentic, much like the game characters from the first film, and plenty of clever references abound (my favorite might be a certain area where an AOL logo pops up. You’ll know when you see it.) And Ralph might just be the perfect universe to actually approach this subject material- especially as it continues the series trend of keeping the narrative character and story-driven, while using the internet to frame it in clever and inventive ways. Vanellope’s character arc represents someone who had grown far beyond her initial encounter with Ralph in the original film. Finally allowed to realize her original dream of being a real racer and having the best friend in the whole world for 6 years, she had grown past the point of mere contentment, although she was starting to dream bigger. Forget about the Internet for a moment- the opening part of the film in the arcade foreshadows it, from Ralph’s failure to pick up on Vanellope’s longing for more in her life, to her attitude towards Sugar Rush– which while still her domain, had long since grown past the point of challenging her, enough so that even in the middle of a race she dozed off. By preserving the real-world time that elapsed between the two films, there was an emphasis that the world had changed- though Litwak’s Arcade, not so much. It was a surprising and bold move to actually have Vanellope stay in Slaughter Race at the end of the film, partially because I never thought they’d actually do it- and in turn, it’s a genuinely emotional and bittersweet moment that still has me reflective on how this actually happens in life too. Super impressive writing right there. Ralph on the other hand, was content because he’d ultimately achieved his version of happiness by the end of the first film. That said, while his bond with Vanellope remained the glue and backbone of this film, his aversion to any sort of change with Vanellope and general jealousy of her own developing dreams was a lesson personified about obsession. Yes, the King Kong inspired final act was a bit heavy handed, but the character dynamics rang true in that scenario, and I think it touched me deeply on some profound level about how life changes- and relationships evolve. This is a message that will go over much more strongly with the older crowd now and into the future. It was also fairly ambitious to not go for a traditional antagonist- instead using the surprisingly complex web of relationships (pun maybe intended) and the initial steering wheel issue to kickstart the plot as a much more abstract series of problems. There was a bit of a natural arc with the dynamic duo- Vanellope went from being “the glitch” without a place under King Candy’s iron fist in Wreck-It Ralph, to living her dream as a “real racer”- but now she needed literally and figuratively, a bigger racetrack than what Sugar Rush could provide- and in the ultimate twist, wound up leaving the game that once imprisoned her for good. She’s had an interesting, often heartwarming and also bittersweet roller-coaster of a relationship with Ralph over two films, and in the end, it’s hard not to acknowledge the duo’s chemistry as one of Disney’s best, simply because of the way their dynamics continued to evolve over both films. Was this film better than the original? Hard to say, as they represent very different plots on a number of levels, but in this critic’s opinion, they are both worthy of praise in their own rights, and this is a sequel worth seeing if you haven’t already. Animation Quality: Modern 3-D animated film. As always, these films have been gorgeous this decade, and Ralph is no different, continuing to show the savviness to detail that its predecessor established. Everything pops, the character models work well for what they are doing (Vanellope is somehow even cuter than the first film, I think), and everything comes together so well to help tell the story they want to tell. That’s impressive. 5/5 points. 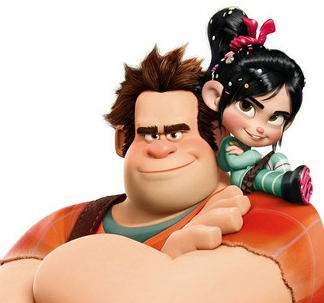 Characters: I pretty much expounded on the main 2 characters in my spoilers, but to reiterate: Wreck-It Ralph is the big, hulking bad guy of 80’s arcade game Fix-It Felix, Jr. and best friends with Vanellope von Schweetz, the star racer of Sugar Rush, where the duo established a relationship in the first film that carried over into this film. The two are co-leads in this film- and as Vanellope is a fully established character from the start in this movie, it actually allows a much deeper exploration of her character on some interesting levels. Aside from the main duo, new character mostly step up to fill other roles in this film. Yes, Felix and Calhoun still make appearances early in the film and at the end, but aren’t the major supporting characters in this go round. Neither are the Sugar Rush racers, who find themselves under the care of the couple after their game’s hardware malfunction (and I can sense a mini-film featuring what happened there to be hilarious.) Instead, there’s colorful Internet denizens who step into key roles, such as J.P. Spamley- a seedy personification of clickbait ads on the web, or Yesss- the head algorithm of “BuzzTube” who determines trending content. There’s also Shank- a beautiful, tough woman racer voiced by Gal Gadot in the online game “Slaughter Race,” which appears to parody both online MMO’s and franchises like Grand Theft Auto. It all comes together in a way that works- and yes, the Disney Princess cameos you’ve all probably heard about or seen are terrific. Just a lot of fun from this cast, but this is ultimately held together by Ralph and Vanellope- and it delivers an emotional punch on that level. 4.5/5 points. Story: A simple premise launches Ralph 2’s plot- a broken arcade cabinet wheel, which proves to be rare and expensive to find, to the dismay of both Mr. Litwak and the denizens of Sugar Rush. Vanellope in particular takes it hard, sensing a loss of what made her her, despite recent complaints that the game had gotten painfully boring for her- and so, the journey to the Internet launches a grand quest. Premise-wise, this was always going to be convoluted on some level, but it works within the framework of the story, which is character-driven. The narrative takes drastic shifts in stride, although the final act is a slightly mixed bag (though the emotional, character driven bits are still absolutely on point there.) It had a decently tough act to follow Wreck-It Ralph’s narrative- and it did reasonably well. 3.75/5 points. Themes: This movie was surprisingly complex in terms of exploring interpersonal relationships, along with the positive and negative impacts of the web. Sure, I wonder how well this film will age considering the subject material, but the character stuff is meaty and lasting, and honestly this will resonate strongly with mostly an older audience, which is great. The younger audience will still find plenty to like as usual, but the endgame plot may be a little complex (and for the very young ones, terrifying)- but overall, good stuff. 4/5 points. Don’t Insult the Viewer: For my money, an entertaining family friendly film with some fun musical stuff in there, some very funny bits (and very few cringy ones, at that), and a narrative that felt more complex that the first film. It’s a treat. 5/5 points. Overall: 22.5/25 (89%): A worthy followup act to Wreck-It Ralph, this film takes the best part of the first film- Ralph and Vanellope’s relationship- and pushes it to another level against some really difficult subject material, and does it well. It’s definitely worth a look! Like what you see? Big fan of the first or second film? Leave a comment!